The term “pagan” is most closely aligned with my perspective of how I experience life. At an early age I had a special relationship with nature. I eventually realized I had a unique affinity with plants. I assumed everyone felt the same way I did in their presence. I don’t get too concerned with the set of rules I’m supposed to follow to connect with the Great Mystery. I follow the trail – a connection that ebbs and flows through Nature. When I think about the purpose of life, I look to Nature. When I want to solve a problem, I look to Nature. When I feel scattered and caught up in day-to-day challenges, I look to Nature. I had a spot, near a field, that I played in for hours as a child. It was a large stretch of grasses and wildflowers; a few shrubs; and one large looming maple tree. This same place would comfort me in my teenage years. My school summer break consisted of many seemingly endless days of babysitting my younger sister. 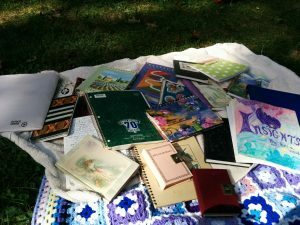 I’d clean, entertain, make lunch, be annoyed from her antics, and when she watched television or played with the neighbor kids my journal and books came out to play. It was a lonely time. Sure, when my parents came home from work I could sometimes convince them to let me go to a friend’s house, but I needed to be home in a couple of hours to take care of my sister in the morning. No summertime sleepovers, prank calls or running wild into the night like my classmates. Mostly, I went for walks near the pond and meandered into my favorite field. 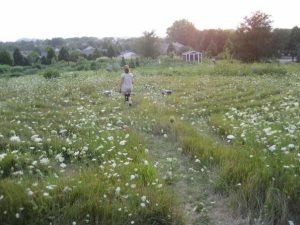 Instead of playing among the tall grasses and wildflowers as I did in childhood I found a sanctuary on the edge of the field was a small cluster of saplings, bushes, and larger trees. I had a view of the field, but I was snuggled away from any neighbors out for a walk. While I lacked the freedom my friends had, a consistent spot all to myself was good for my mental health and well-being. I even stashed away some patchouli incense in a tin can. The smoke from the incense helped deter mosquitos and added to the cozy bubble feeling this sanctuary gave me. Here, I felt at home. Though I was young, I knew these times would not last forever. I reflected often how these quiet, boring, lonely days were important in my life. I reminded myself that when I became a working adult, my time for reading, journaling, crocheting, writing poetry and short stories, reflecting on life, and enjoying endless time in nature would be a lot harder to come by. These days of slow living were a time of honing in on my core beliefs; developing my intuition; and learning how to overcome fears. This was the time I started reading about spiritual teachings of Native American Indian tribes, branches of Paganism, and Goddess-centered spiritualities. I was leery of any religion or spiritually that involved strict guidelines. Nature, after all, does not lay down rules and divisions – that is what humans do. I embraced connection to land, nature, the Old Ways, herbal lore, and my internal compass. I cultivated an intense interest in the natural sciences as well. Learning about the intricate lives within cells, ecosystem dynamics, plant and animal symbiosis helped illuminate the beauty, mystery, and magic of my temple, Mother Earth. At the time, I had a group of high school friends who were also exploring various spiritual paths and self-help modalities. Years later they’ve asked, “You’re still into that?” I reply, “Still? It is me. It doesn’t just disappear.” Some went toward more mainstream religions, others had no preference. I nurtured my relationship with the Old Ways, the Earth “Religion”, became fluent in Goddess-talk, celebrated the cyclical nature of the seasons, studied herbalism, and declared myself a Plant Priestess. The Earth is my Temple. I will never be any different – feeling the ebb and flow of the day, the seasons, the moon cycles. I will not hide my perspective any longer: The Earth is a Temple and my house of worship. Join my email list for the latest classes, free offers, and other updates. 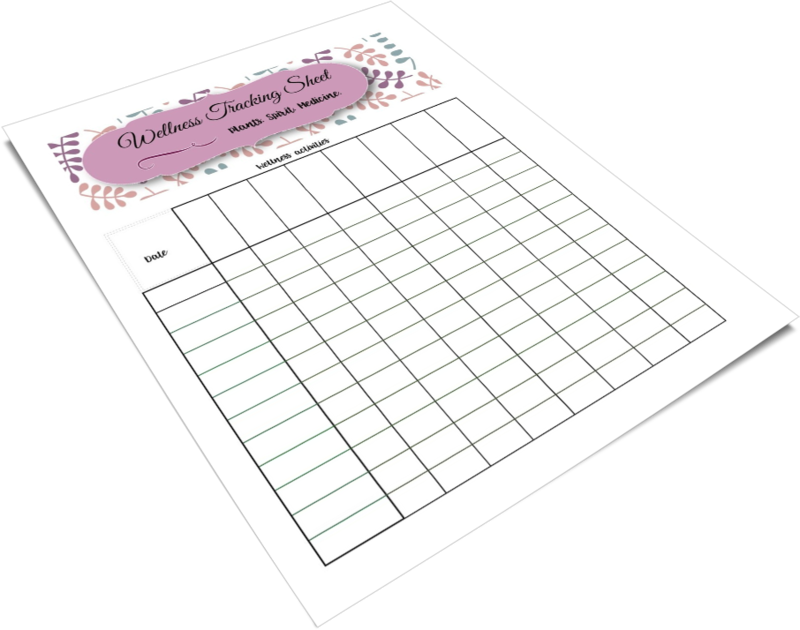 Receive the "Wellness Tracking Sheet" and super short tutorial video by joining.